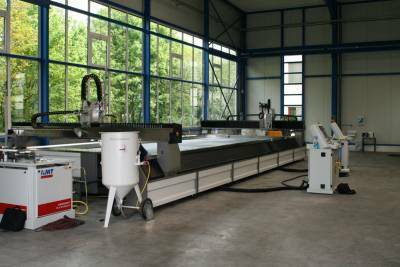 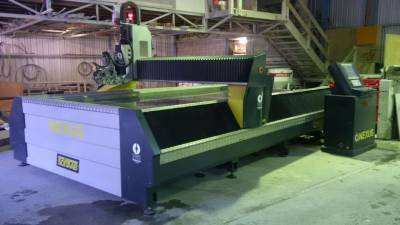 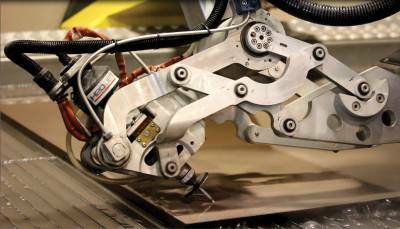 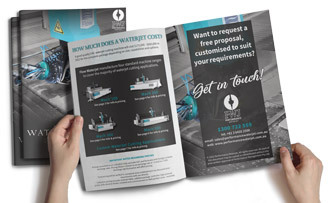 European engineering excellence combined with the most technologically advanced features to deliver the ultimate waterjet cutting system. 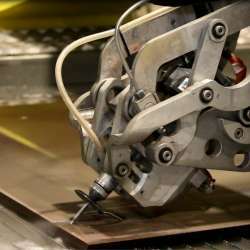 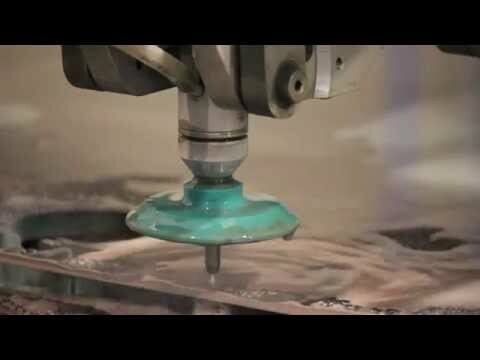 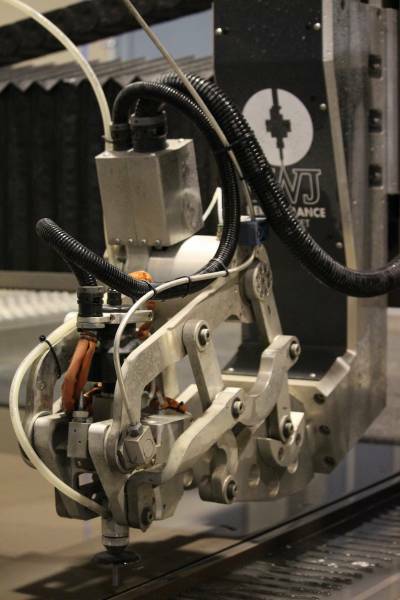 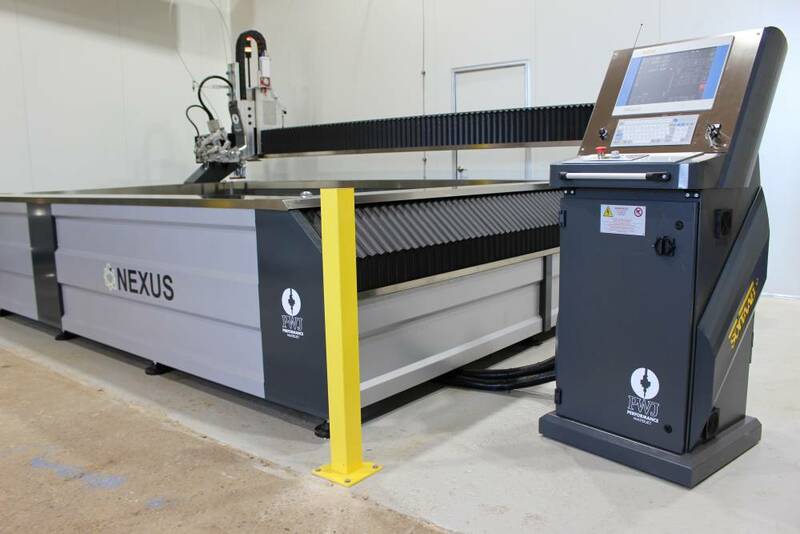 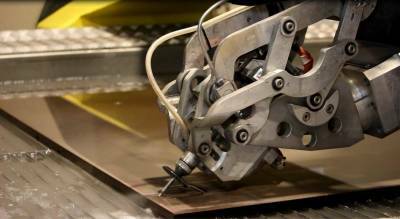 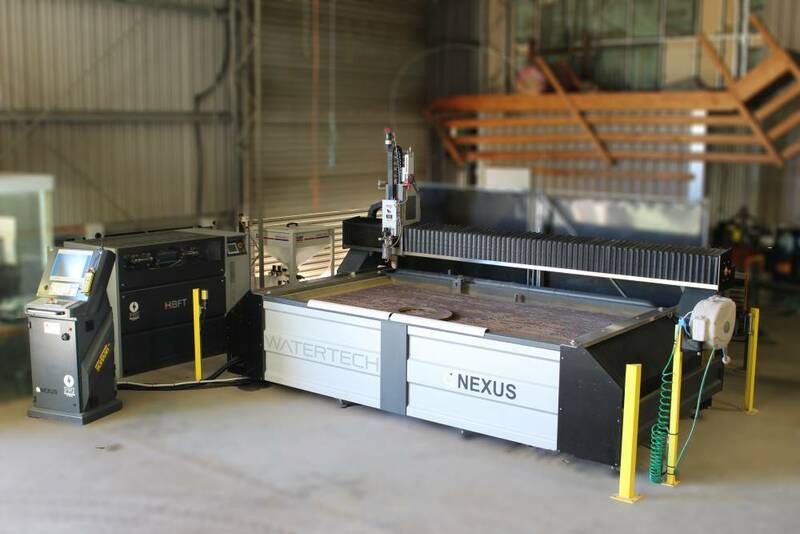 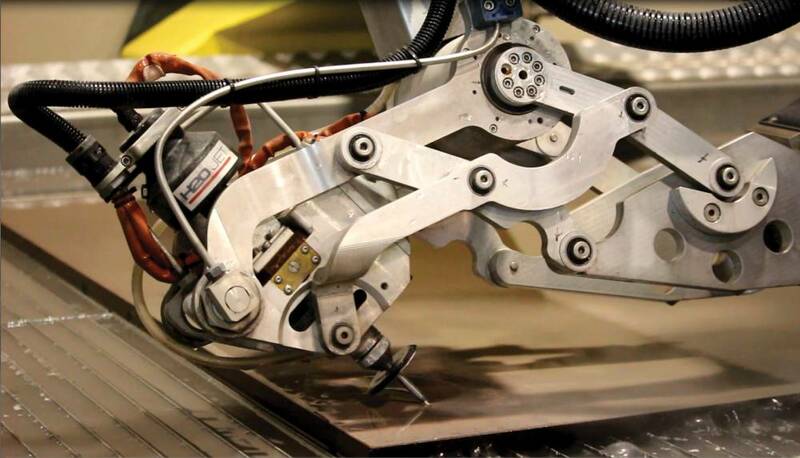 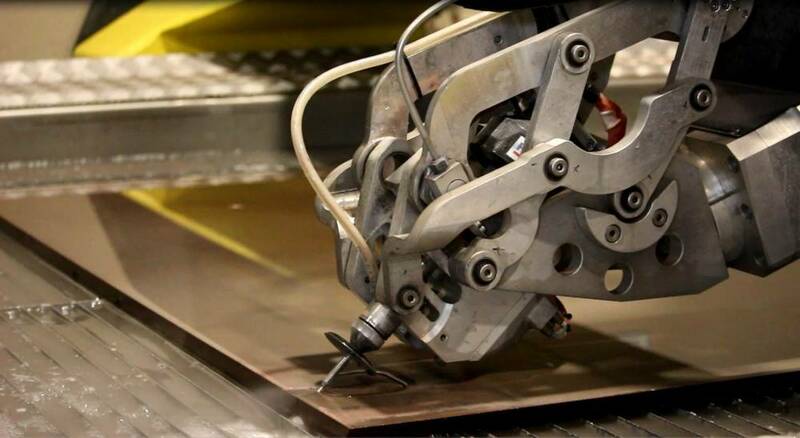 The Nexus generation of waterjet systems represent the culmination of years of experience in developing and refining high-pressure waterjet technology. 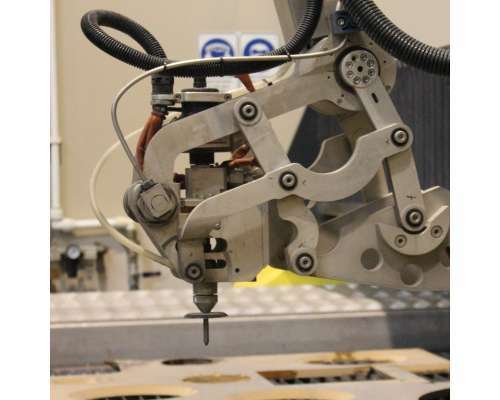 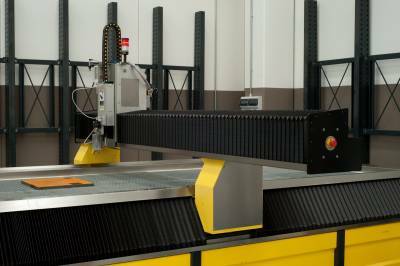 This precision and quality are only found in systems from leading equipment manufacturers. 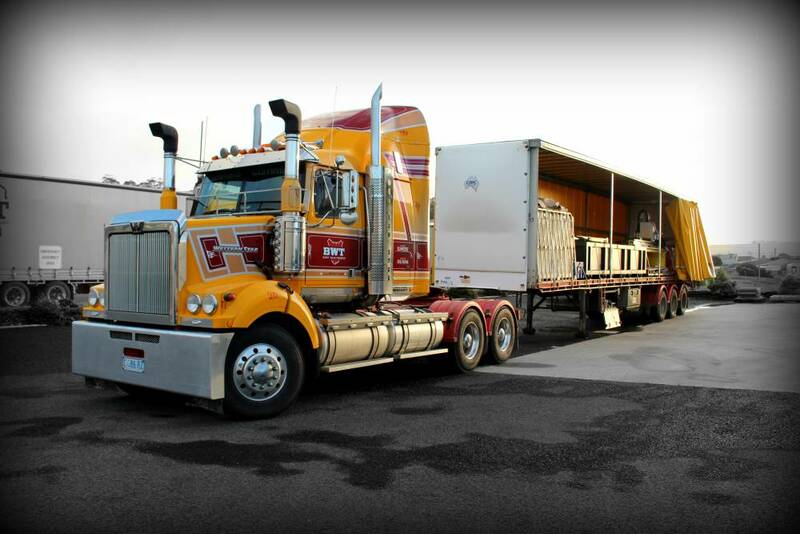 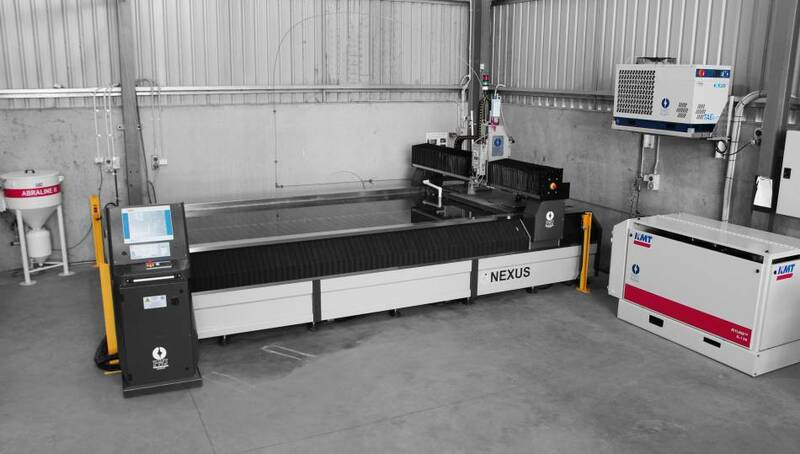 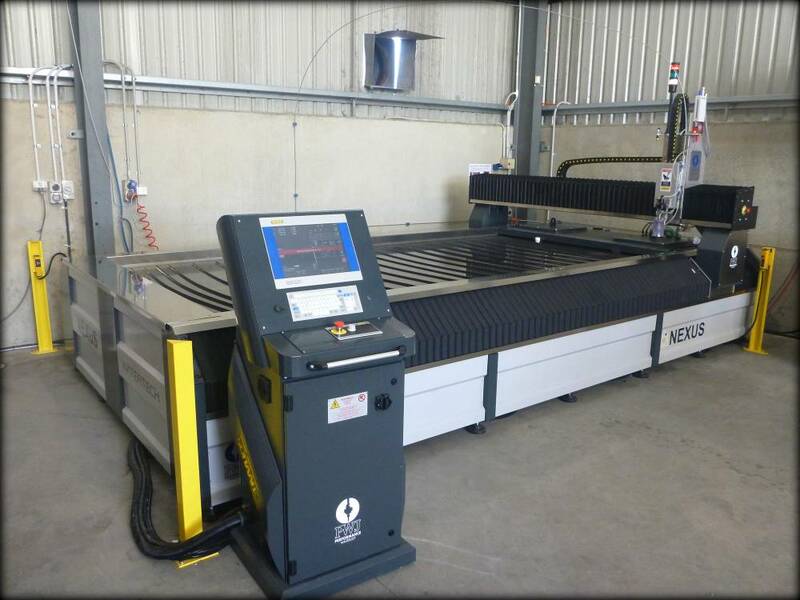 We currently have Nexus Waterline systems installed around Australia in the stone and metal fabrication industries. Click here to watch what Daniel of Gosford Marble & Granite has to say about his Nexus Waterline. 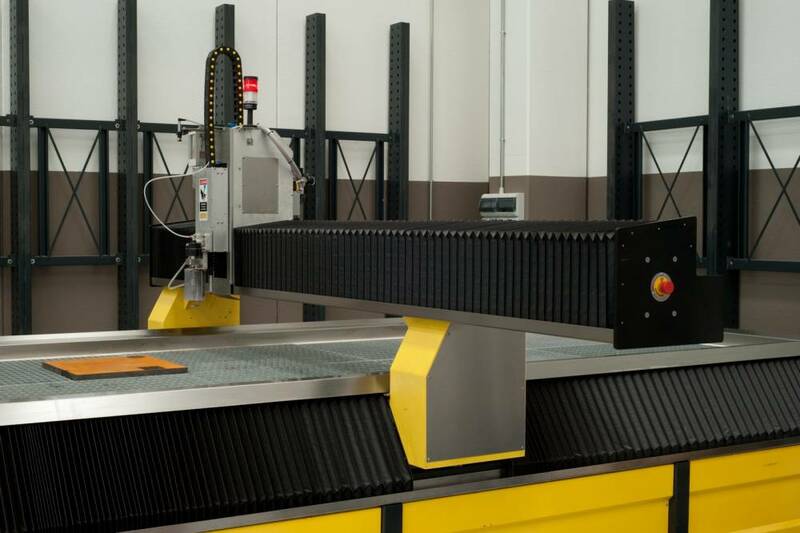 Nexus systems are built on a robust frame structure, which is engineered to enable the table to take workpiece loads of up to 1000kg per square metre of table area and allows rapid movement of the carriage whilst maintaining precision motion accuracy. Every Nexus table is machined in a 5 axis machining centre to provide a precise and stable platform. Nexus achieves fast, precise motion control with a helical rack and pinion drive system. 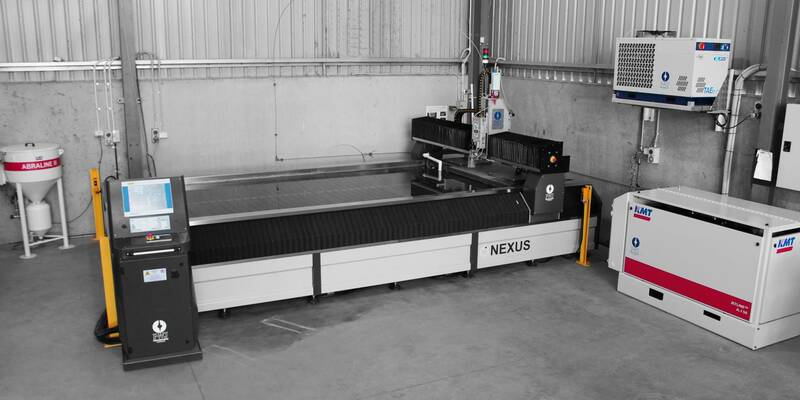 With leading European drive system, the Nexus achieves rapid movement speeds of up to 35 metres per minute, with an accuracy of 0.1mm over 12 metres. 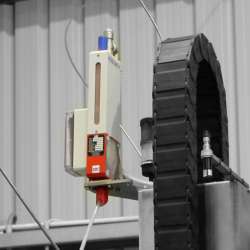 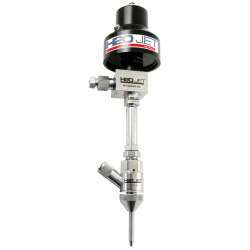 All drive components are lubricated with an automatic lubrication system. 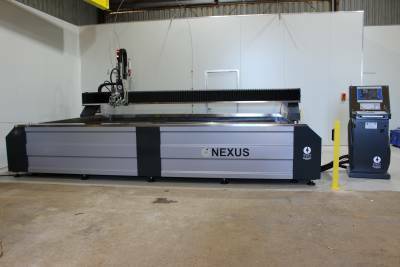 The Nexus Waterline features an H20JET IDE diamond cutting head which delivers maximum cutting speed and a high quality edge. 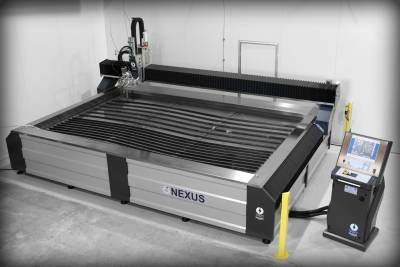 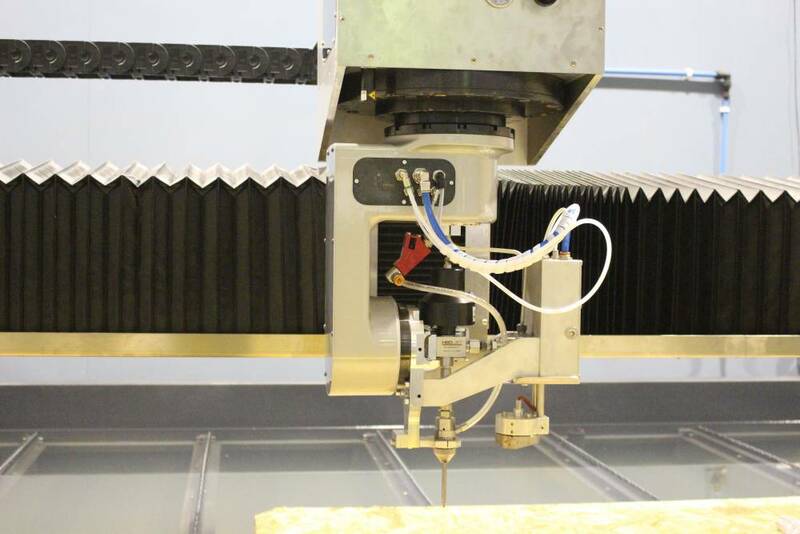 The Nexus Waterline can also come with an optional 5 axis cutting head. 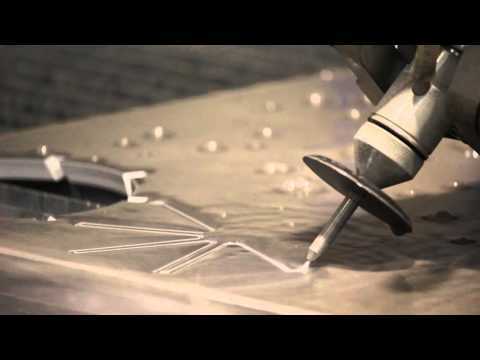 The Nexus 5 axis cutting head enables operators to cut bevels and mitre cuts up to 45 degrees. 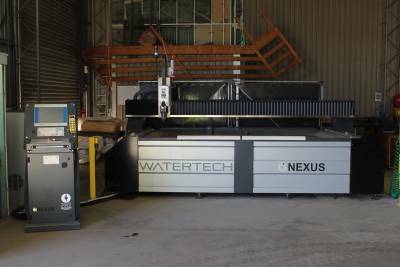 The Nexus 5 axis head also provides the option to activate a "taper compensation" setting which offsets the taper in the water stream to accurately achieve the desired angle. 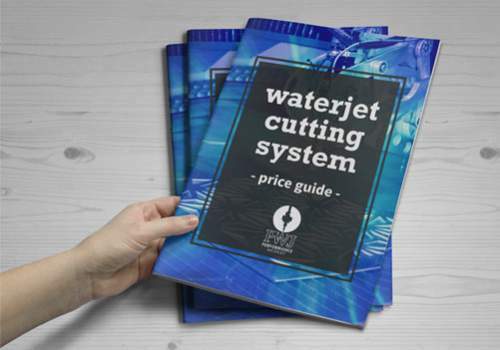 Selection of the right high pressure pump is critical to the performance, output and dependability of the waterjet system. 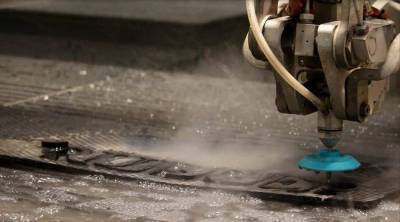 The purpose of the pump is to generate the high pressure required for the operation of the waterjet. 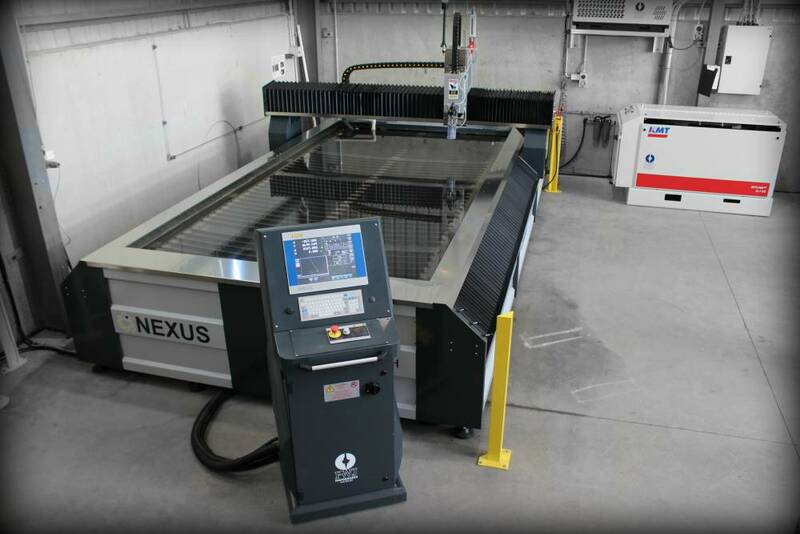 Nexus systems are driven and commanded by the Nexus CNC III control platform, which is fully integrated with SigmaNEST CAD / CAM program to deliver a reliable, versatile and user-friendly control system. 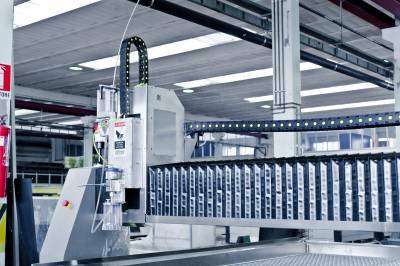 The Feedline V garnet delivery system with operator interface ensures optimum control over abrasive delivery. 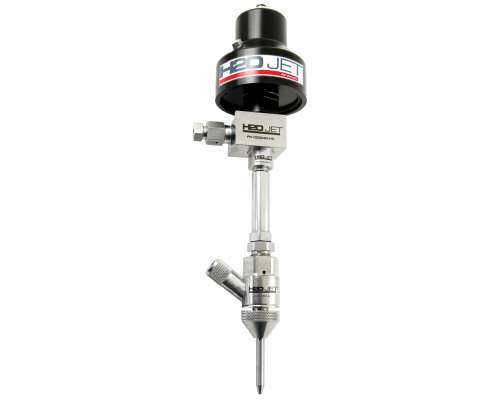 The Feedline V eliminates surges and fluctuations in abrasive flow to achieve a premium quality edge with the lowest possible garnet consumption. 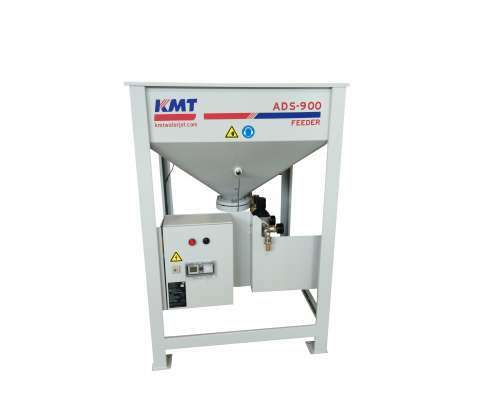 The purpose of the Abraline V pressure hopper is to precisely monitor the availability of garnet abrasive during the cutting process to ensure your cutting process is never stopped due to garnet refilling. 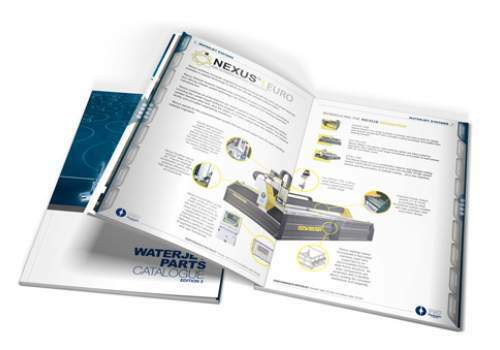 The hydraulic chiller is an optional accessory on Nexus systems for cooling the high pressure pump. 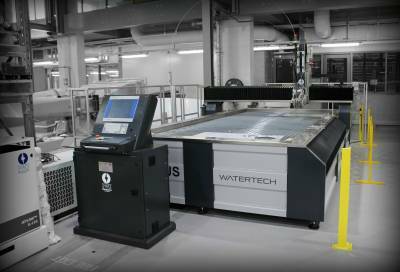 The chiller essentially eliminates water used for cooling and ensures systems can operate continuously (without overheating), even in high ambient temperatures. 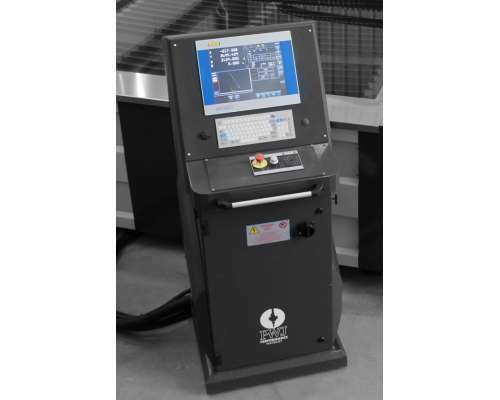 The Streamline VI plus pump is designed for continuous high output operations, and is particularly recommended for production line and critical demand applications. 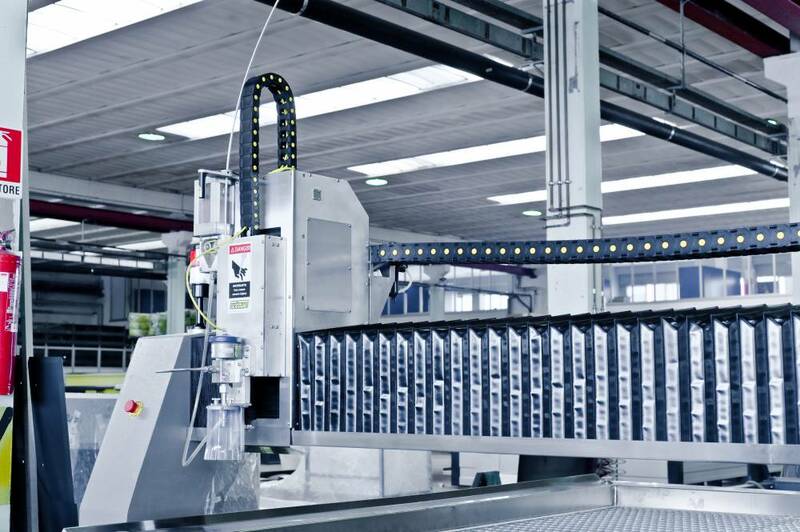 Streamline VI utilizes the latest technology and innovative configurable design for ease of use, reliability and convenience - the result is a system that delivers the highest efficiency and profit. KMT Waterjet engineers optimized the motor performance and increased the volume of the high pressure water delivery, resulting in an increased maximum orifice size and higher cutting speeds. 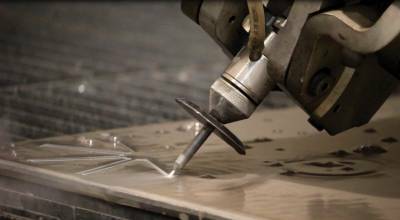 SigmaNEST is an intelligent, all-in-one-solution which delivers reductions in cost per part by optimising use of raw material, reducing tool travel time, and providing the flexibility to work with a whole spectrum of materials. 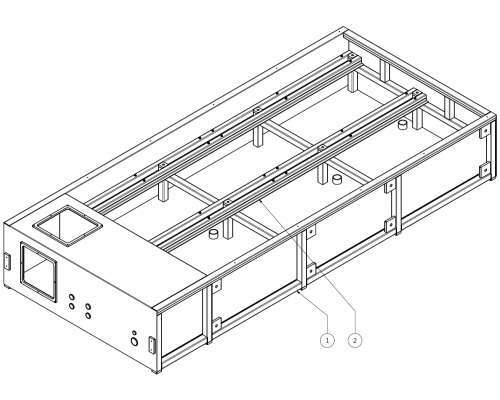 Quickly import all common drawing files including DXF, DWG, IGES, CDL and CAD ready to cut in the shortest possible time. 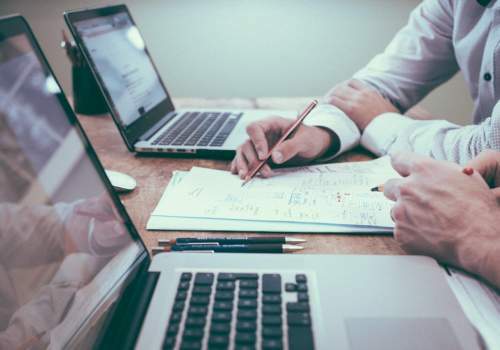 With technical support assistance based in Australia, the SigmaNEST team are available to provide instant remote support in our time zone. The Nexus 5 Axis cutting head is a must-have for operators who require bevel cutting capability. 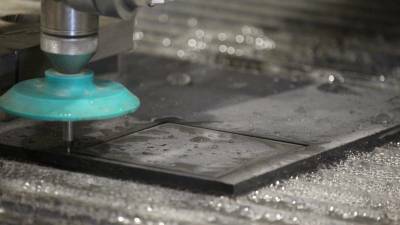 The 5 axis cutting system incorporates a "taper compensation" feature which enables the operator to precisely achieve angle cuts up to 45 degrees. 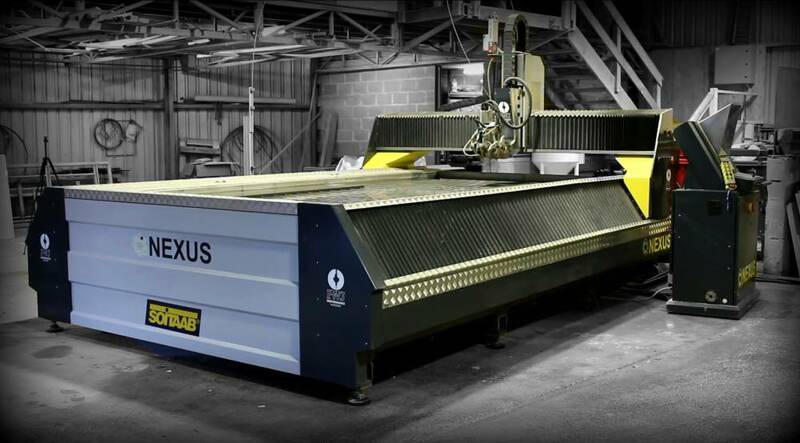 The KMT Feedline abrasive hopper is integrated with the Nexus controller, and delivers a perfectly consistent feed of garnet by using a small motorized feed belt. 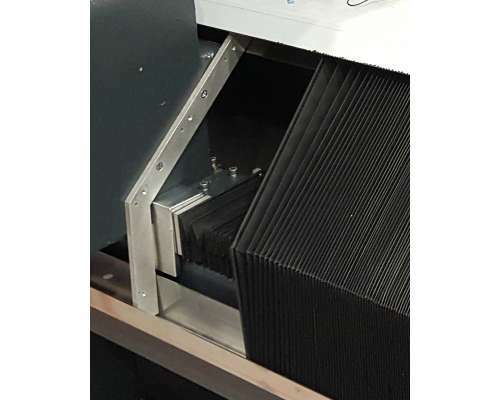 The Feedline also has a level monitor to maintain hopper levels during the cutting process, and has back flush detectors which protect your work piece if a back flush occurs. 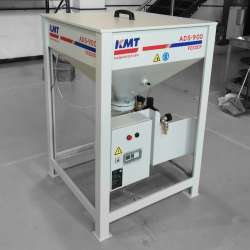 The KMT Abraline is a dual hopper continuous abrasive feed system which precisely monitors the availability of abrasive during the entire cutting process. 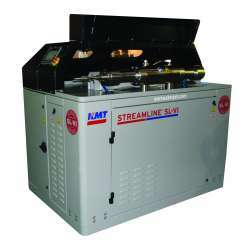 This ensures your cutting process is never stopped due to garnet refilling. 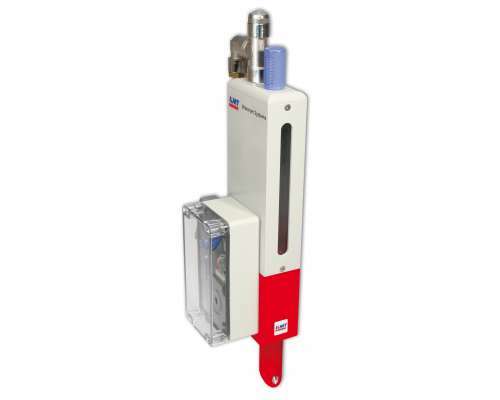 Level sensors on the unit monitor abrasive levels and when it is almost empty, the unit automatically de-pressurizes and refills the hopper with abrasive from the garnet storage tank. The IDE cutting head has a diamond orifice which is factory aligned so that the jet is precisely focused to fire right down the centre of the focusing tube. 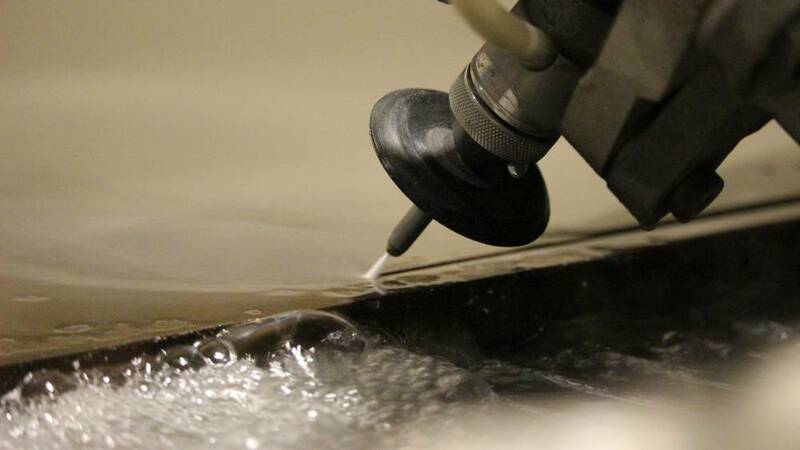 Dead-on alignment of the water stream allows maximum power to be delivered to the surface, which results in faster cutting speed with less abrasive required per linear metre of cut. 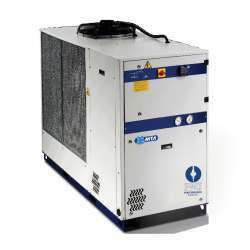 For pump cooling and continuous operation during high ambient temperatures, we recommend the inclusion of an industrial chiller. 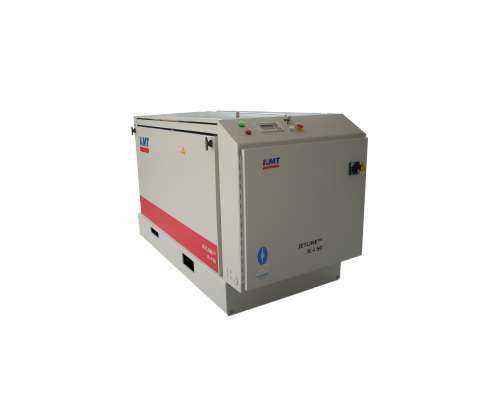 The MTA Tae Evo "WJ" Series are ideally suited for climates with high ambient temperature conditions and are generously sized to maintain a constant output. 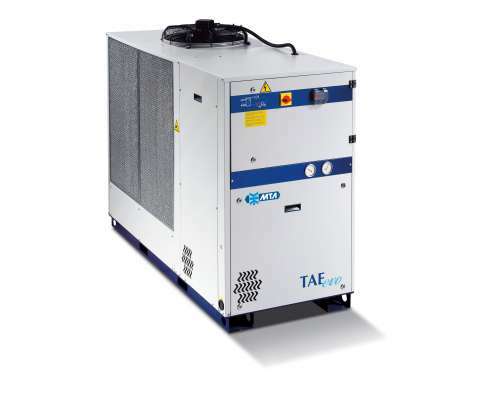 The Tae Evo features a closed water circuit which eliminates cooling water wastage, and due to the scroll compressor has minimal electricity consumption, thus achieving a market-leading energy efficiency level.